Manchester United interested in ex-PSG manager? 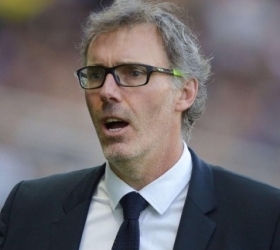 Former Paris Saint-Germain boss Laurent Blanc is reportedly among the leading candidates being considered for the interim managerial role at Manchester United. The Red Devils recently announced the dismissal of Jose Mourinho from the head coach position amid the club's struggles in the Premier League this term and the hierarchy are now said to be keen on recruiting a quick replacement. According to Sky Sports News, United are only seeking a caretaker manager for the season and the appointment is expected to be external rather than assistant Michael Carrick taking charge. It is added that Blanc is among the leading names on their wishlist to presume the role, although the Frenchman has been out of managerial duty since being relieved by Les Parisiens two years ago. United have a mountain to climb in their top four pursuit with their recent defeat at Liverpool dropping them 11 points behind fourth-placed Chelsea after just 17 matches into the campaign.